Below the line agents have unique needs. Maximizing your clients schedule to book jobs with overlapping schedules can be tricky – now there’s software specifically made to mange and track an unlimited number of holds and bookings. View your client’s holds and bookings in a specialized two-month calendar view. Respond to availability request quickly and easily. Toggle between different clients schedules with one click. Easily generate email client confirmation or client has passed notifications to buyers. Convert holds to bookings with a single click. 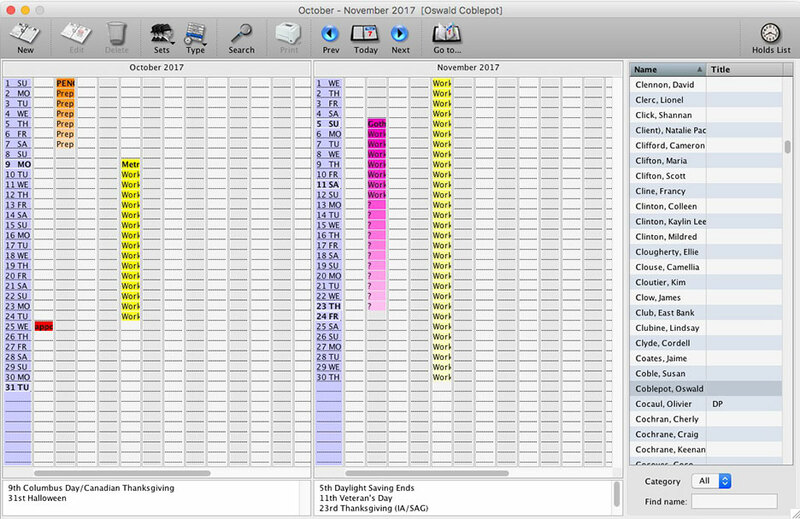 The Below The Line Scheduler can streamline the workflow for Agents and Managers who work with Directors of Photography, Costume Designers, Editors and Producers. ©2019 by inEntertainment, Inc. All rights reserved.